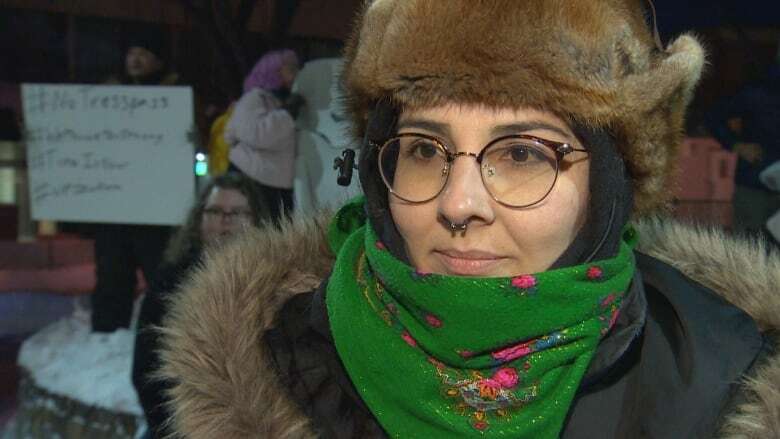 Protesters gathered in downtown Edmonton on Tuesday evening to support people from a northern B.C. First Nation who have been preventing a natural gas pipeline company from accessing their traditional territory. 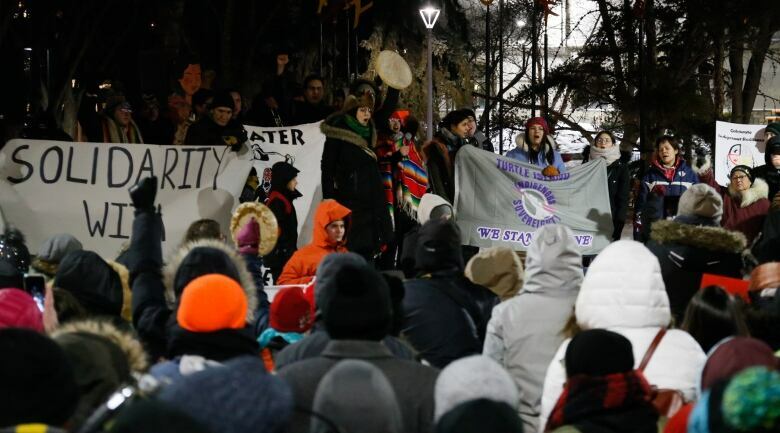 More than 200 protesters gathered in a downtown Edmonton park Tuesday evening in a show of support to people in British Columbia who have been ​fighting a pipeline company from accessing their traditional territory. 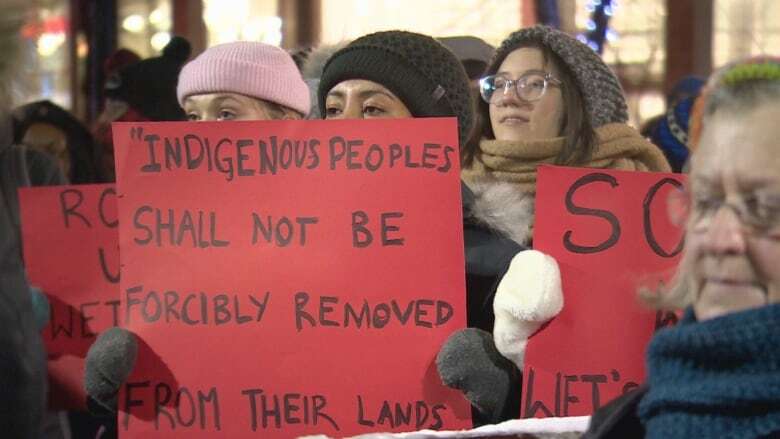 "We're standing in solidarity with those folks that are standing up for their people, for their land and for future generations," said Eriel Deranger, executive director of Indigenous Climate Action, which organized the rally alongside Climate Justice Edmonton. "They have stood with their sovereign and inherent rights to protect land and territory, not just for themselves, but for the benefit of the future of this planet." Deranger has a special familiarity with the ongoing issue, going back to 2010 when she helped set up the Unist'ot'en camp on a forest service road south of Houston, B.C. There, she met some of the members of the Wet'suwet'en First Nation who have been using the checkpoint to deny access to Coastal GasLink employees. The TransCanada subsidiary is trying to build a natural gas pipeline on the traditional territory of the nation's members, who have blocked access to a road and bridge needed for construction activities. A second checkpoint, the Gidimt'en camp, sits 20 kilometres away. Fourteen people were arrested at that blockade on Monday when RCMP enforced a court injunction to give Coastal GasLink access to the area. In an emailed statement, a Coastal GasLink spokesperson said the injunction was "a last resort and a necessary action in our efforts to safely gain access to the Morice River Bridge, after years of attempting to engage the camp to work through a solution." The Coastal GasLink pipeline is meant to pass through Wet'suwet'en First Nation territory that, according to those standing against the project, was never ceded through treaty. TransCanada has said it signed agreements with all First Nations along the proposed pipeline route. But Wet'suwet'en's hereditary leaders have said those agreements don't apply to the traditional territories. The Edmonton rally was in Beaver Hills House Park. Protesters yelled chants of "Power to the people," listened to speakers, and finished the rally with a round dance. The rally was one of several across the country, where many protesters called on police to remove themselves from the territory. "I've been to the Unist'ot'en territory. I've drunk the water, I've eaten the food. I've seen the immense beauty that exists there," said Deranger, who is from the Athabasca Chipewyan First Nation. "And I see what's happening in my own people's backyard — the destruction, devastation and contamination of our territories." She wants the land to be protected. 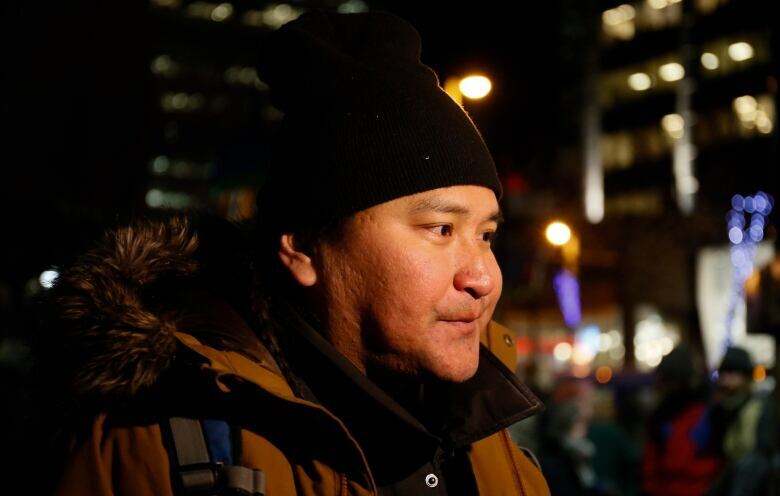 Burton Tom is a Wet'suwet'en First Nation member who now lives in Edmonton. He grew up eating the food the land had to offer, but fears potential oil and gas developments could taint the region's water. "They [Coastal GasLink] don't understand what 'No' means," Tom said at the protest in Edmonton. "We don't need it and we don't want it." "I'm just thankful for people across the country coming out and helping the Wet'suwet'en First Nation — helping them to stand up against the pipeline industry trying to push their pipe through to B.C.," he said. Deranger highlighted how Indigenous people are asserting their sovereignty and autonomy. "This is not a conversation about oil and gas. 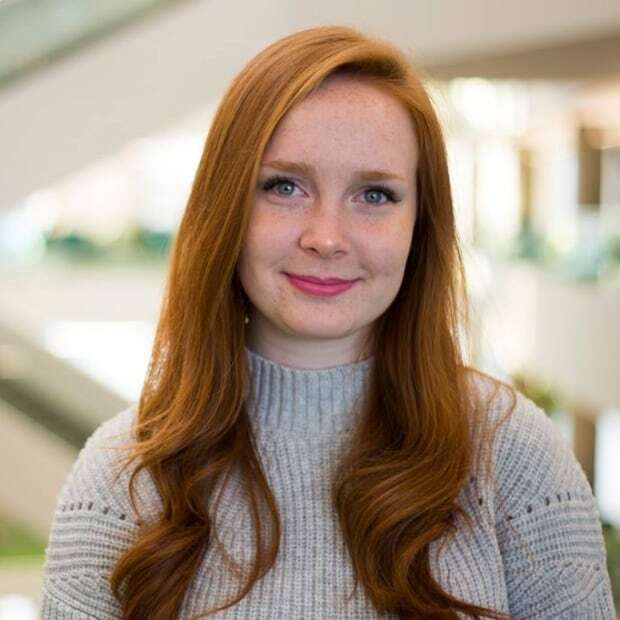 This is not a conversation about a pipeline," she said. "This is a conversation about justice for people. This is a conversation about protecting the planet for future generations. "We cannot polarize this and make this about jobs and the economy. We're talking about human rights and the planet."